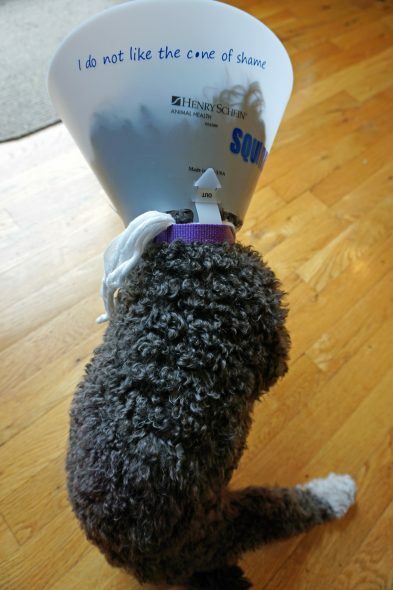 He got neutered a few days ago. 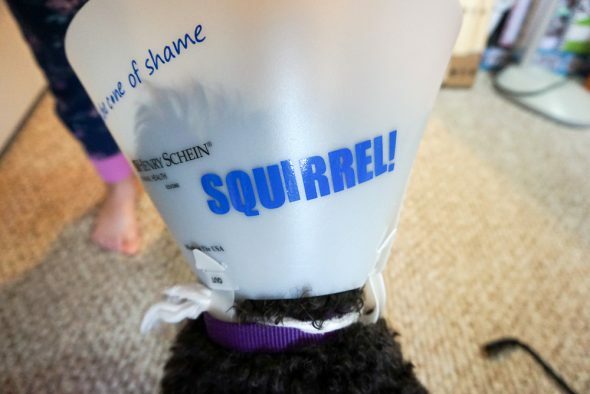 I did actually get out my Silhouette Cameo and decal his cone. Not the first day he came home, that was just too much sadness for the world. But as he’s recovered, and just bangs into walls and runs in circles because he can’t scratch himself, I couldn’t help myself. So I grabbed a couple of Dug’s lines from Up and had some fun. 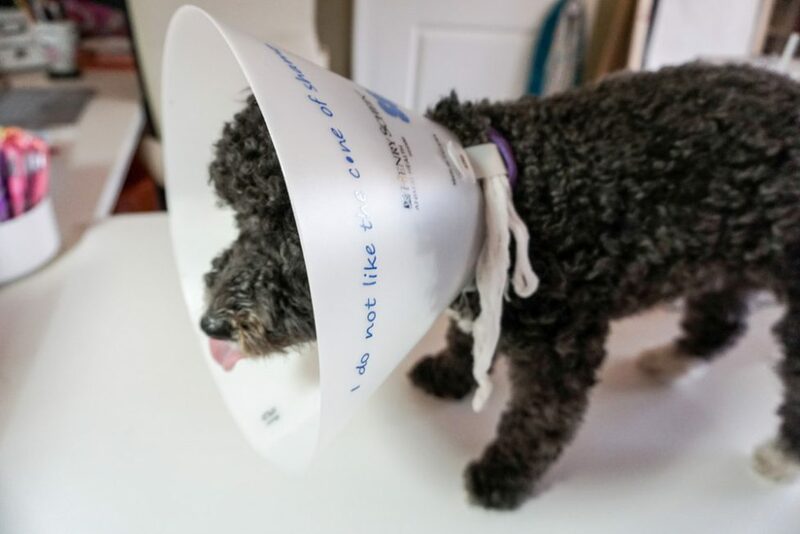 We should be able to take the cone off tomorrow, and then hopefully we can get him a bath and get him back to his usual self. Minus a few parts. Poor Hamilton. 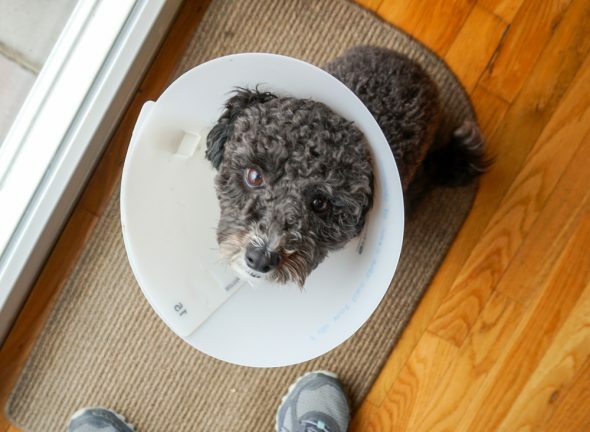 I hope that he is out of the cone for good tomorrow.